South Bend, Indiana – Plaintiffs Lippert Components Manufacturing, Inc. of Elkhart, Indiana and Backsaver International, Inc. d/b/a Gorilla-Lift of Somerset, Kentucky filed a patent infringement lawsuit in the Northern District of Indiana. Defendants are MORryde International, Inc. and MOR/ryde Inc. This lawsuit alleging patent infringement follows another recent lawsuit, also alleging patent infringement, that Lippert filed against Defendants recently. That lawsuit, filed by Lippert as sole Plaintiff, asserted infringement of three patents: U.S. Patent Nos. 6,182,401; 6,176,045 and 6,598,354. 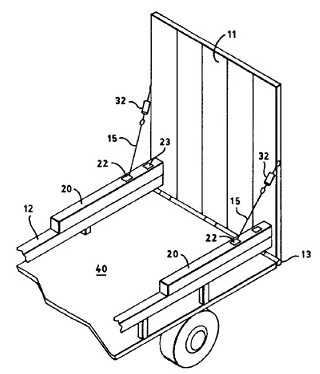 Indiana patent lawyers for Plaintiffs contend that infringement by Defendants was willful and deliberate in a complaint listing a single count, “Infringement of U.S. Patent No. 6,550,840.” Plaintiffs ask the Indiana federal court for damages, including treble damages, as well as injunctive relief, costs and attorneys’ fees. This case has been assigned to Judge Theresa L. Springmann and Magistrate Judge Christopher A. Nuechterlein in the Northern District of Indiana, and assigned Case No. 3:16-cv-00264-TLS-CAN.